Favorite Outfits: Often is wearing her BF Ferdinand's fleece scarf and hat. 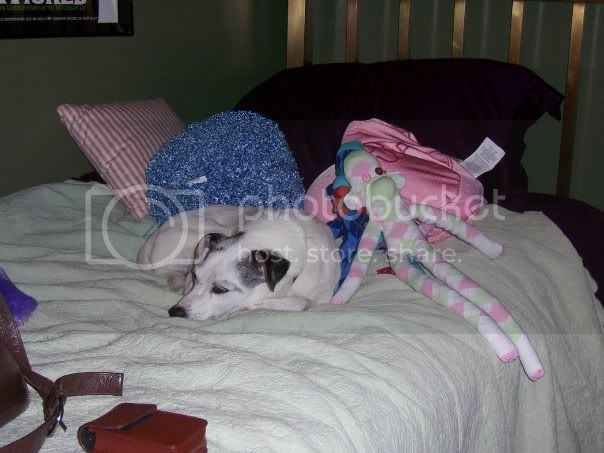 Someday, she will have clothes of her own! 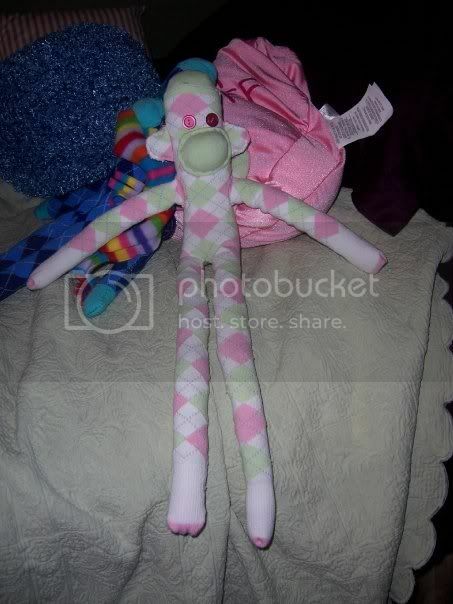 Story: After returning home from school in 2008, I decided to try my hand at making a sock monkey without the aid of a course. 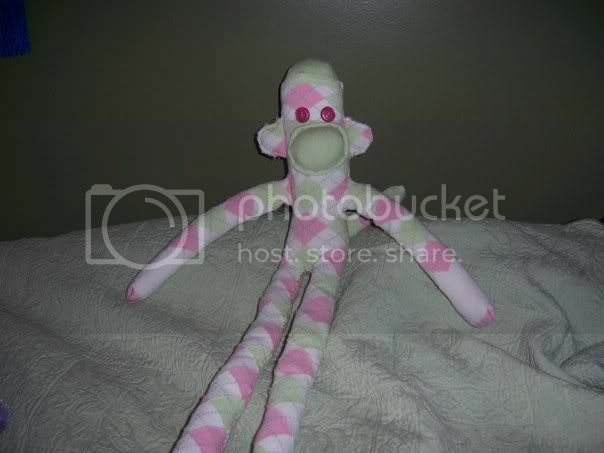 Have felt from Ferdinand that he was in the market for a life time companion, I purchaced some matching pink argyle, so they would look all purdy together. Having just completed a course on Shakespeare, I decided that the obvious partner for a Ferdinand was a Miranda (from The Tempest).